A strange evil has appeared on the eastern borders of your kingdom. 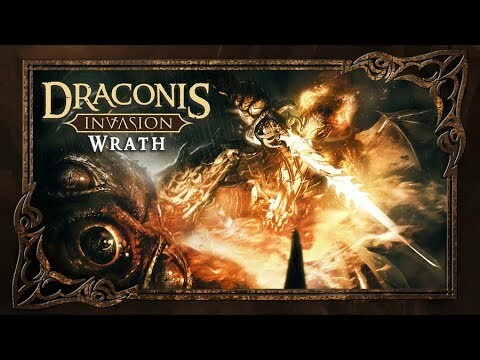 You are a noble hero charged by your King to gather an army and crush the dark forces of Draconis. Although every player is fighting a common enemy, you are ultimately competing against one another for power, gold, and glory. 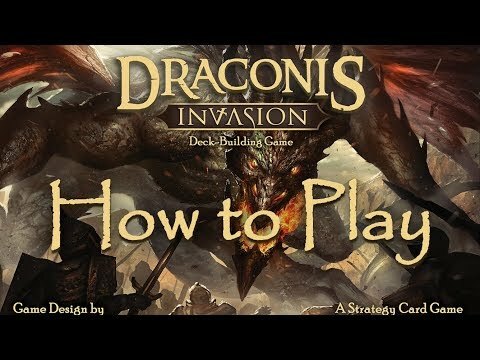 Draconis Invasion is a medieval fantasy deck-building game. Players start with a basic deck consisting of Gold cards and Defender cards. The cards in your deck are weak when the game begins, but your goal is to build your. deck, gather more money, form a fiercer army, and summon enough strength to defeat the darkness that threatens the realm. When the dust settles and the battle is over, the player with the most Glory Points will stand triumphant as the King's mightiest champion.